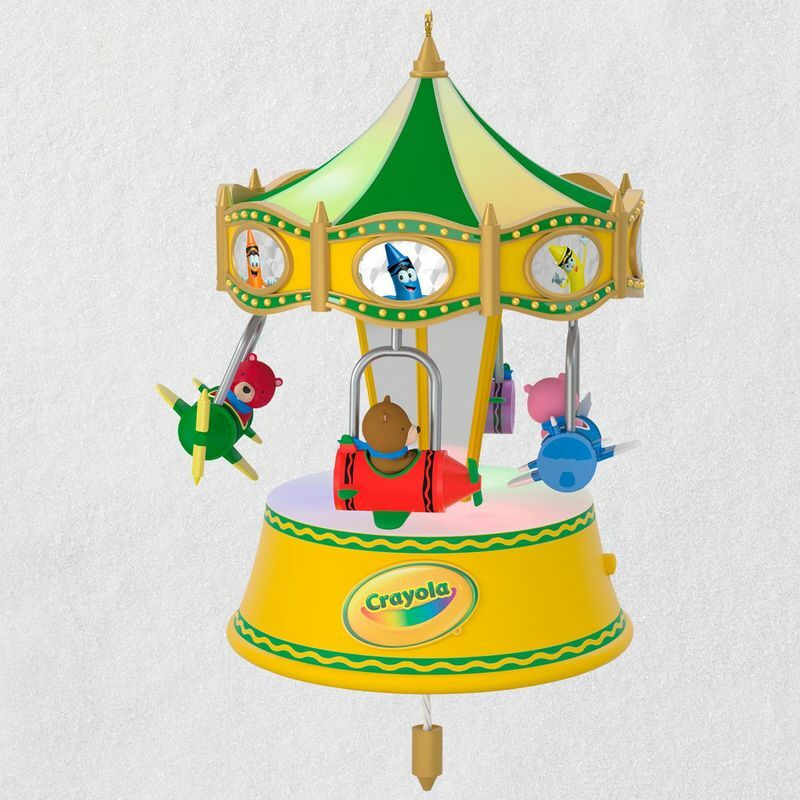 Celebrate the joy of a day at the amusement park with this fun Crayola Christmas tree ornament featuring cute teddy bear friends flying high on a colorful airplane ride. 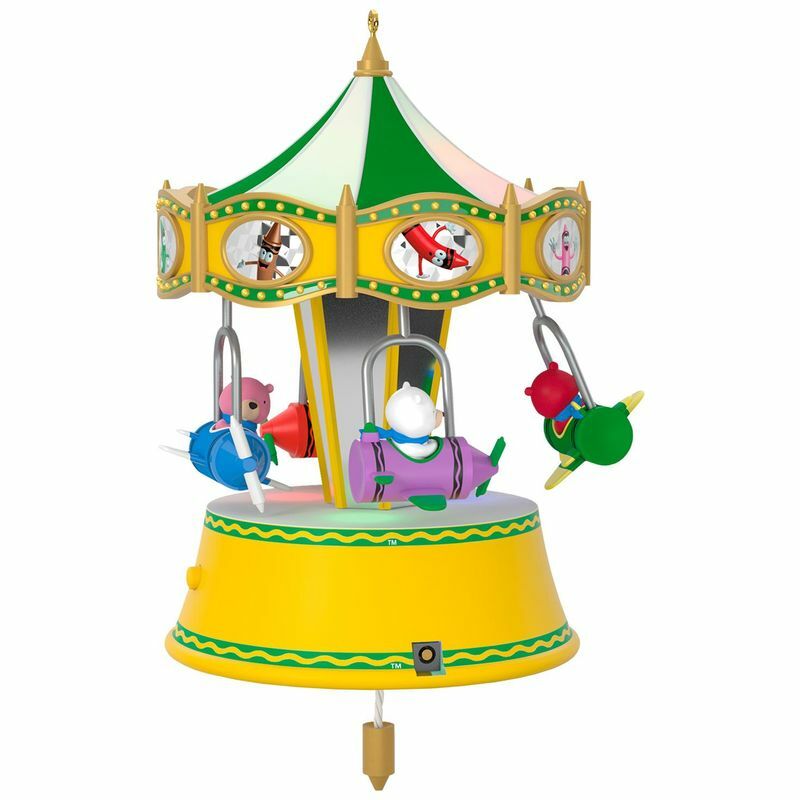 Kids will love to pull the string to make the ride spin and play classic carnival music. Sound, light and motion features require Hallmark's Keepsake Power Cord (sold separately). Magic Sound, Light and Motion Christmas tree ornament. Connect this ornament to Hallmark's Keepsake Power Cord to see the continuous light effect. Pull the string to see it illuminate and move to classic carnival music. Requires Hallmark's Keepsake Power Cord (sold separately). No batteries necessary. measures 4.3" W x 4.5" H x 4.1" D.